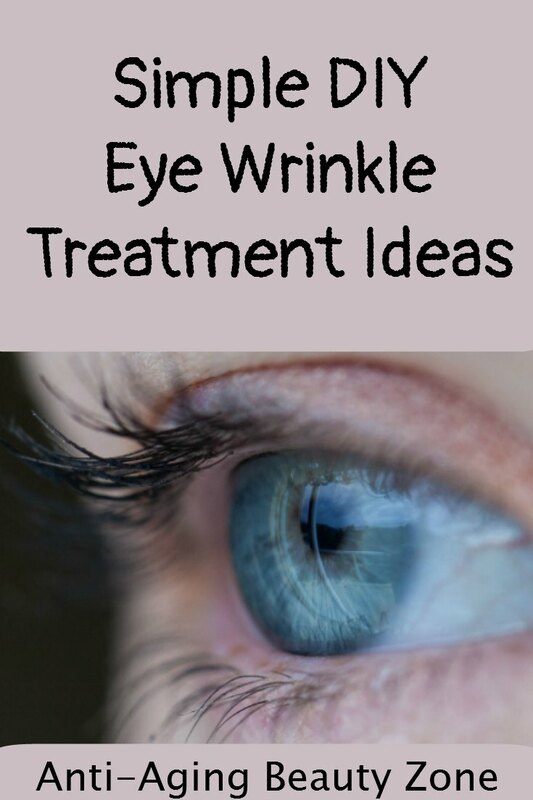 So, I’d like to share which treatments for under eye wrinkles worked for me. And, I'll show you my before and after pictures. So, if your eyes seem to be aging faster than the rest of your face, then consider checking out some of these under eye treatments listed below. Facial Exercises - While this treatment takes time to see results, it did help smooth some of my under eye lines. The facial exercises I did, in addition to bonus exercises for the under eye area helped smooth some of the deeper under eye lines. For my under eye wrinkle issue, Carolyn (the owner/creator of CFF exercise program) gave me a special a bonus exercise to be used in conjunction with her regular facial exercise program. My results took about 10-12 weeks. The change is very subtle, but I think it's really helped. And, it will keep on improving as long as I keep doing the exercises. Here is what the bonus exercise looks like. First, apply a small amount of moisturizer to the under eye area. Second, make sure the under eye muscle is contracted and the skin under your eyes is taunt. - you do this by squinting with your lower eyes. Third, in addition to squinting with your lower eyelids (which contracts the muscle), it helps to open your mouth with lips closed - as shown in the picture below. Rub moisturizer or face oil onto the skin all around the eyes. Contract the bottom eyelids (like your squinting using lower lids only). Place your middle fingers in the inner corners of your eyes. Now lightly slide your fingers to the outer corners of your eyes, keeping your bottom eyelid in contraction the whole time. Repeat this full slide across the eyes for a total of 10 slides. Now reverse the direction by placing your fingertips on the outer corner of the eyes. And slide inward towards the inner corners of the eyes. Repeat this full slide around the eyes for a total of 10 slides. You have now made a total of 20 slides. 10 in one direction and 10 in the opposite direction. Repeat the same process across the upper eyelids too. Make sure to add moisturizer or oil first. As suggested in the directions, I performed this every morning and night after washing my face. Once I started to see improvements, then I back off to a few times a week. Face exercises also helped other parts of my face. Look at the before and after pictures of my sagging neck. The improvement is remarkable! Crow’s Feet - I tried Botox and it worked very well. But only for eye wrinkles at the corners of the eyes not for the lines under my eyes. And, it didn’t address other issues like dark circles, puffy eyelids, and crepey skin. The best permanent results I’ve ever seen in terms of reducing wrinkles all around the eyes especially in the outer corners is the crow’s feet facial exercise. Click on the link to see my before and after pictures. This picture were taken about 16 months later. When I don't smile I can hardly see any lines under the eyes. 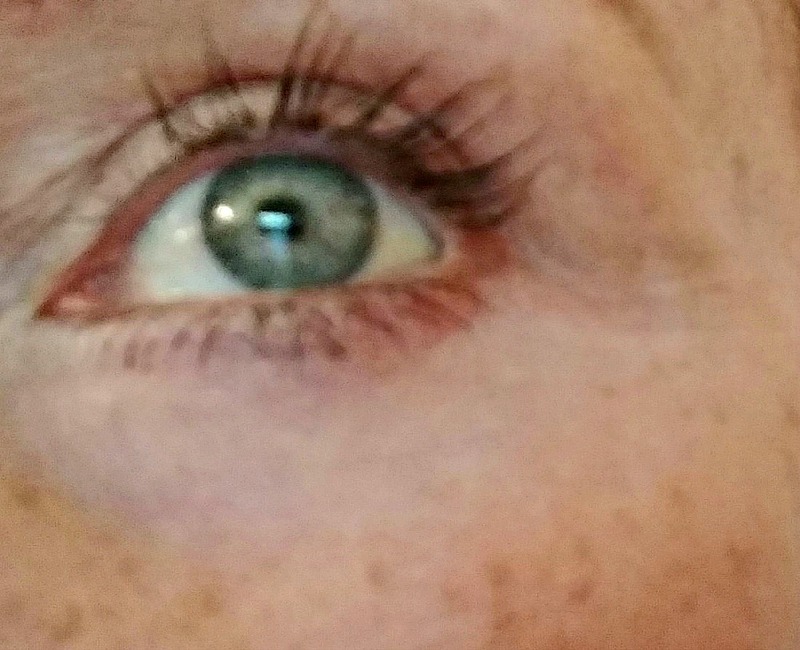 So between the facial exercises and the under eye serum, my under eye wrinkles are not easily visible. Here are a few temporary solutions for under eye wrinkles. Under Eye Serums - Some under eye lifting serums can help "hide" and temporally reduce the look of under eye wrinkles and puffiness. 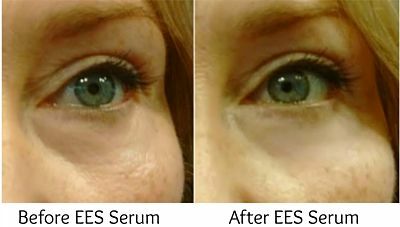 I've been using the EES Eye Lift Serum since 2012 and it has been a favorite treatment to help reduce the look of discoloration and bags under the eyes. Puffy eyes – What about puffy eyes? Yes, this serum helped hide puffy eyes too. Just like every other woman in the world, I heard about Preparation H for puffy eyes. Well, maybe it was helpful years ago when it contained a special ingredient that was known to shrink swollen tissues, but that's not true anymore. Read more about Preparation H and puffy eyes remedy…. Want to see how well this serum works for puffy eyes? Check out this video of my friend has very puffy eyes and agreed to let me video her before and after transformation. So I switch different eye wrinkle treatment products around. Some products I use more often during the winter like retinol creams and then I switch over to vitamin C serums during the summer. I like retinols because they're not as harsh as prescription Retin-A, but help encourage exfoliation and skin cell turnover. You can read more about them here Retinol Cream Reviews. My current favorite product is the Copper Peptide Eye Therapy by Nu Glow. Finally, my other favorite eye moisturizer is Carolyn's Vitamin C Serum. It's not greasy, won't puff up my eyes. Actually, like the retinol cream - I use this all over my face and neck too. NOTE: While most of the eye wrinkle treatment creams I mentioned here are not specifically designed as "eye creams" (except for the copper peptide eye therapy and the instant eye lifting serum) I find these work best for me. You may have to test to make sure these are suitable for your under eye skin. 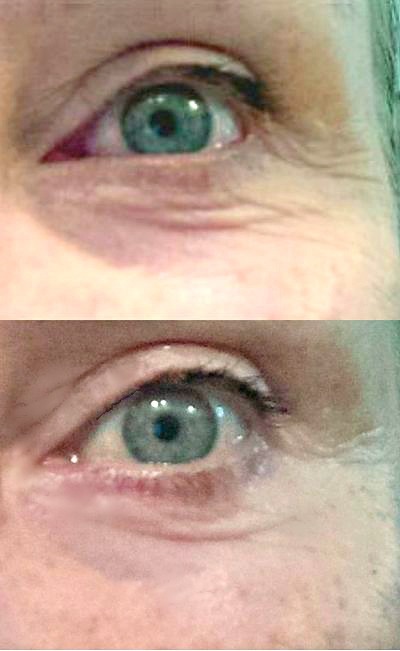 No matter what eye wrinkle treatment I use, I ALWAYS apply my instant eye lifting serum on top of my eye products and I get fabulous results every time. It's an instant temporary fix - but seems to make the whole under eye area look tighter and smoother. And, I've tried a ton of eye lifting serums - this one by far is the best. Here is a review of some popular serums for under eye puffiness.